What is happiness? It has different connotations for different people. You can feel the cascading effect of happiness with the help of a reflexology massage. With the constant stress we experience every day, we need that extra something that helps us bust that stress, feel happy and energized. And the secret to a happy and energized lifestyle are those happy hormones, namely endorphins, serotonin/melatonin, dopamine, and oxytocin. These are hormones or neurotransmitters. They are constantly produced within your body and impact your mood, emotions and so on, evoking unbridled happiness. A brief discussion on happy hormones will reveal more about the they have on our body. 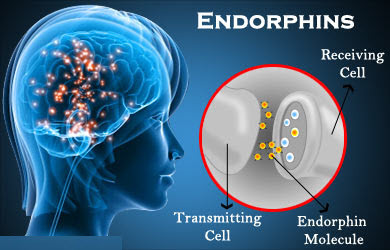 “Endorphins” is actually a shortened version of “endogenous (containing) morphine”. And we all know the effect of morphine on our body. It can block immense pain. So, you can say that endorphins= natural painkillers. There are different kinds of endorphins, which in a way help generate a feel-good reward system, that proliferates from different health boosting actions such as having a healthy meal or enabling a positive social interaction. Exercise is one of the ways of boosting the endorphin levels of our bodies. We also know that endorphins are released during intense physical exercise, creating a natural ‘high’ that blocks negative emotions. 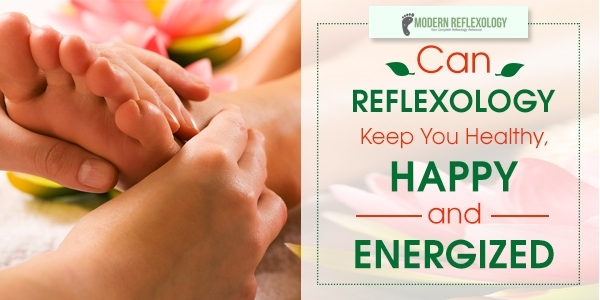 Reflexology also helps in generating endorphins. Serotonin is a neurotransmitter and is in the pineal gland; and in the pineal gland, it gets transformed into melatonin, which is actually a hormone. Serotonin and melatonin together enhance the mood in the right way, making us happy and content. Vitamin D helps in the production of serotonin, and sunlight is one way to boost your vitamin D levels. On the other hand, melatonin is produced at night and hence you should sleep at night in the dark to boost melatonin. Artificial light at night hinders the production of melatonin. Dopamine’s processes are slightly more complex and it is known as pleasure hormone; which is activated when we want to achieve a goal. It is produced in several parts of the brain and is then released from the hypothalamus. 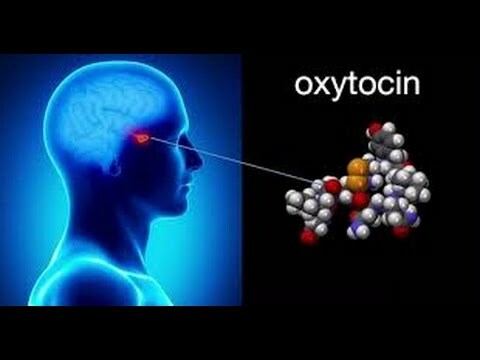 Oxytocin is produced by the hypothalamus and is released into the bloodstream by the pituitary gland, Oxytocin is also known as the “love hormone”, released upon physical contact. Simple gestures such as handshakes, massages and hugging can induce oxytocin. Reflexology is a holistic practice which helps boost conventional health care. The production of “happy hormones” through reflexology is possible just by activating three reflexes – hypothalamus, pineal, and pituitary. So, whenever you feel sad and depressed, try pressing the pressure points on specific positions on the body. According to Traditional Chinese medicine practitioners, the body’s vital energy, or qi, flows along the invisible channels known as the meridians; blockages on the meridians cause pain and disease. It is said that the pressure on certain acupoints releases endorphins and may block the transmission of pain signals along nerves. There are more and more people suffering from everyday symptoms include waking up and not feeling refreshed or experiencing the energized feeling, problems with staying asleep and the inability to fall asleep quickly. If you are suffering from insomnia-like symptoms, try acupressure instead of relying on sleep medication. Neiguan, or the inner gate, is a reflexology pressure point that helps promotes relaxation and calms the spirit. Neiguan is also one of the most effective pressure points to eliminate sleep problems. Find the point, it is located near the natural depression point located between the tendons in the hand and can be found by placing 3 fingersright at the base of the wrist until you locate the depression. You have to put steady pressure on the point, which will help you relax the tight wound up feeling inside.This happenswhen you fail to tap into your innate energy resources, which results in making you feel depressed. 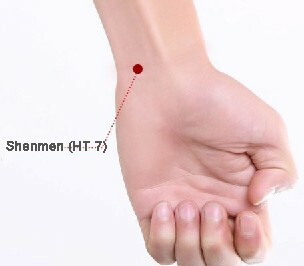 You can locate the Shimien pressure point right at the bottom of the feet. Imagine a line from each ankle bone to thesole of your foot, the pressure point can be found right in front of the heel. You can use a pen to find the intersection point of the lines on the sole of the foot. Press this point to combat insomnia. It is actually the most tender spot on the sole of the foot and you need to be really careful when you apply pressure, also make sure you do it right, so as not to hurt the area. Shenmen or the spirit gate point helps regulate pathways and energy to the heart. 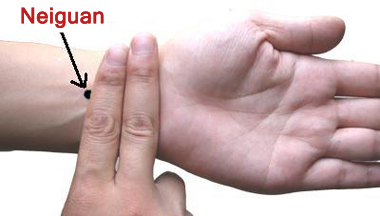 The Shenmen point is located where the base of the smallest finger meets with the crease of the wrist. Apply steady pressure for a good 20 seconds with the help of the thumb of your other hand. This helps decrease energy levels and prepares the body for uninterrupted sleep. 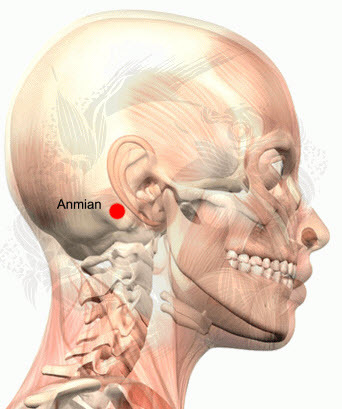 Anemian is the only sleep-related pressure point that can be located on the head. The pressure point can be found just before the ear, along with the tender section found before your neck muscles that connect with your jaw line. To benefit from this pressure point, you have to use your index and middle finger and firmly press the indentation for 15 to 20 minutes. This is enough to make you feel relaxed sleepy and calm. The Chinese reflexology points have been used for ages to deal with extreme fatigue and sleeplessness stemming from adrenal exhaustion. If you wake up feeling exhausted and need caffeine or a bit of sugar to tide throughout the day or you feel listless and extremely moody most of your waking hours, you may be suffering from adrenal fatigue or adrenal exhaustion. Chronic stress that lasts for too longcan fatigue the adrenal glands because they’re the reason for our ‘fight or flight’ response. We know that too much of stress may lead to over secretion of cortisolfrom the adrenal glands, and if you’re someone who finds it difficult to deal with stress, then almost invariably your adrenal glands are overworked. If you massage the Chinese Reflexology point for the adrenal glands, you can send healing Qi or the life force energy to the adrenals. With time, as the Qi is rebuilt, the physical body heals and recuperates. 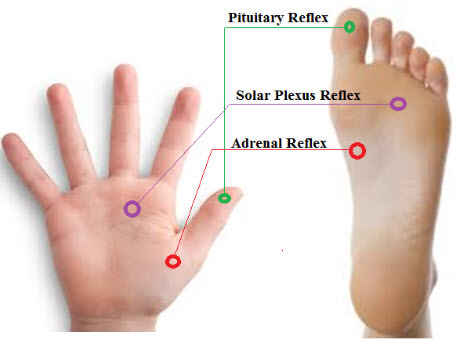 The reflexology point for the adrenals is found just above the Kidney point found on the soles of each of your feet. This is pretty similar to your body where you will find an adrenal gland found atop each kidney. You can massage this point by using the knuckle of your index finger. Press the point and then twist your wrist back and forth in a way that looks like you’re turning a door knob. Massage this point for a good 15 to 30 seconds at a time, and gradually move upto 2 minutes a day. Sometimes you may be too tired to do this every day, try to massage the area at least two to three times a week. Hypothyroidismis a condition that usually occurs when your thyroid is unable to produce enough thyroxin, and as a result, your metabolism becomes sluggish. Low thyroid function can lead to a number of symptoms such as the feeling of tiredness,sluggishness, and depression. The Thyroid function gradually diminishes over time. As per Chinese Reflexology, regularly massaging the reflexology point for the thyroid gland can help restore the balance in the long run. The reflexology point for the thyroid is located on the ball of your foot. You’ve got two points- one on your left foot and one on your right. To locate this point, lift your big toe up. This will cause the area of the ball of the foot under the big toe to form a slight bulge. If you trace along the curve just below this bulge, you’ve found the Chinese Reflexology point for your thyroid. To massage this point, use the knuckle of your index finger. Start at the top of the ball of the foot just under the point between the big toe and the second toe. Press into this point and follow the curve of the bulge with your knuckle until you reach the inside edge of the foot. Then lift up your knuckle, place it at the top of the point and trace downwards again. Massage for between 15 to 20 strokes. This reflexology point is not suitable for apregnant woman as it is located near the acupuncture point, Kidney-1, which induceslabor. In Traditional Chinese Medicine, the Kidneys are regarded as “the root of life.” The kidneys are the receptacle of life force energy. If Kidney Qi is weak, the other types of Qi in your body also get affected. Here are a few things to keep in mind so as not to burden the Kidney Qi. The things that affect the kidney Qi are stress, overwork, constantlypushing yourself too hard, too much exercise or over training and/or sleeplessness. Thus, most cases of fatigue, tiredness or lack of energy, chronic fatigue, hypothyroidism, and adrenal exhaustion can be traced to a deficiency of the Kidneys. Just massaging the Chinese Reflexology point for the Kidneys can help restore your life force energy. Locate the Kidney reflexology point on each foot. It’s located on either side of the sole of the foot. To locate this point, imagine a horizontal line dividing your foot in half, right from the tip of your big toe to the base of your heel. Next, imagine a vertical line dividing your foot into four quadrants. The Kidney point is located right atthe top inside quadrant and a smidge in the top outside quadrant. Massage this point by thepressing it with your thumb and giving it a rub up and down. If you feel too sensitive at the spots, press the points deeply and knead the area in small circles. Alternately, you can also use your knuckles to rub in an up and down motion. 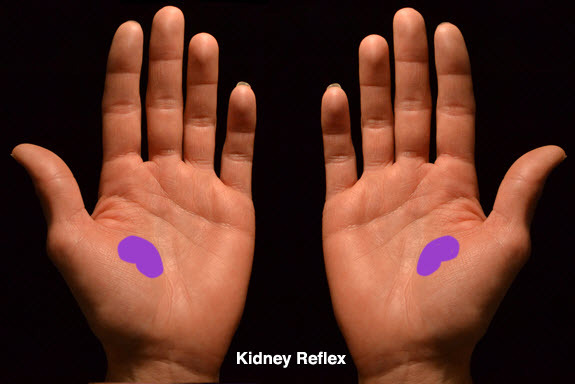 The Kidney point is regarded in Chinese Reflexology as one of the most important reflexology points because the health of your Kidneys and also the Kidney meridian influences your overall health. The main crux of Western medicine is treating the disease by identifying the symptoms, what we regard as symptomatic treatment. However, traditional Chinese Medicine and Reflexology therapy primarily focus on treating the root cause of the disease by identifying the underlying Qi dis harmonies. Fatigue and lack of energy is such a multi-faceted problem. You have to dig deep to find out the deeper causes, only then you will be able to overcome fatigue, feel energetic and push yourself to achieve your goals. If you dabble in too many things, yet derive happiness from none, you will gradually feel distressed and dejected, unable to rise above daily problems and distresses. The pursuit of happiness is something we all strive for, but to some of us it remains elusive. Reflexology treatment can help you find a pathway to distance yourself from all kinds of negative energies and endorse a positive bent of mind. Positivity can help you beat most of your blues. Reflexology treatment, as they say, is not only good for the sole, but also good for the soul! Arm your immunity with the benefits of reflexology and reap the benefits.